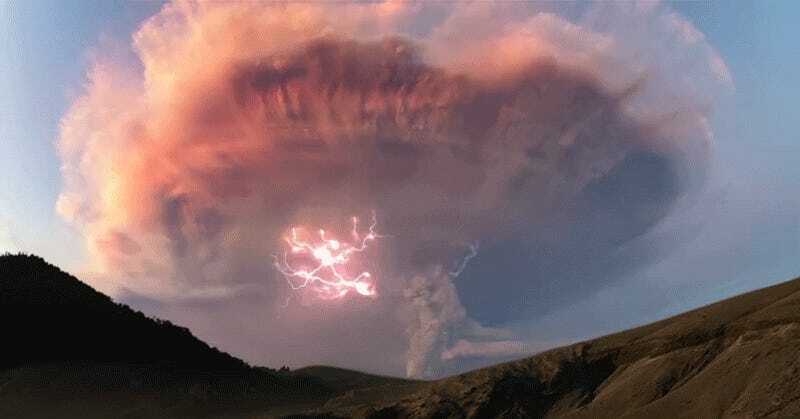 BBC posted this truly stunning footage of a volcanic ash cloud just bursting with lightning and it’s totally staggering to see. It’s a violent phenomenon but in the picturesque setting of Patagonia, it almost looks like a painting that’s been animated. The burst of bolts almost looks fake.